I was really hoping to score a good Labor Day deal on some new boots, but there doesn't seem to be too much going on by way of "steals". At least not with fall fashion. 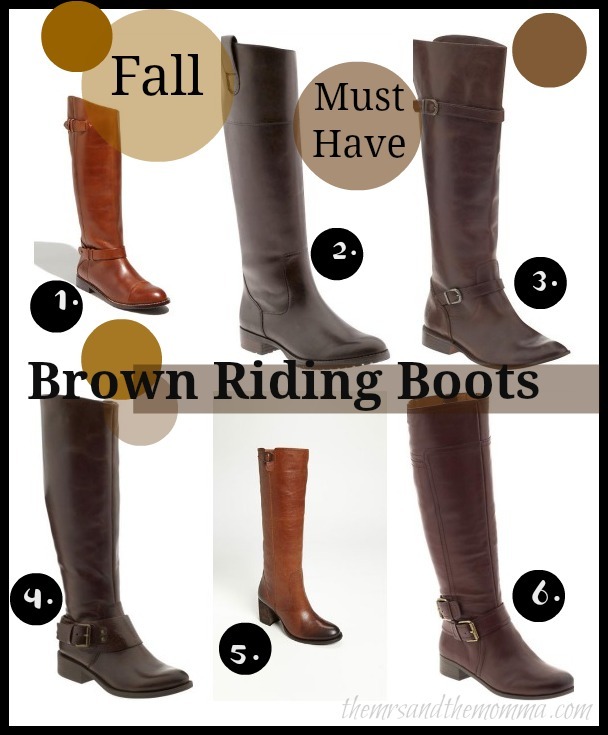 I'm specifically on the hunt for some brown riding boots. I'd love some heeled ones as well, but think I'd get the most for my investment out of a low (or no) heel. I just adore the classic look of structured riding boots with skinnies. It's basically a no-fail outfit...even if you have no idea what to wear on top. Pair anything from a tee to a button-up to a tunic with some dark wash jeans and knee high boots....DONE. Just to give you a heads up now, the aforementioned combination will most likely be my uniform once this weather cools down. That is, if I can find some boots. I sure am doing my darndest to find the best ones for me....here's a few I've seen around. Oh, and by the way....I'll give you one guess who's a 'DOT COMMER' now!!! !